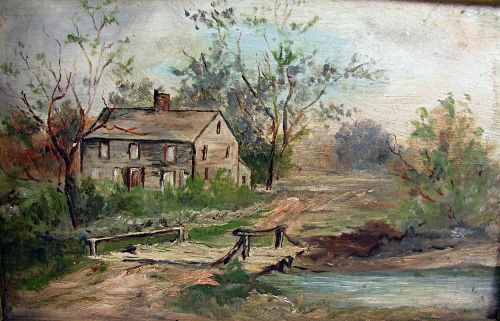 Framed oil on board painting depicting a New England farmhouse behind a small stream. 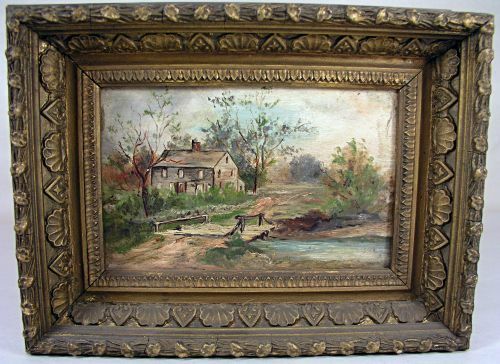 Wonderful original frame with only minor damage at top right edge. 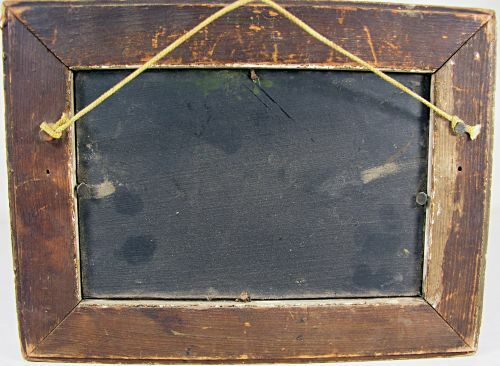 Dimensions: Sight Size is 4 3/8" x 6 5/8"